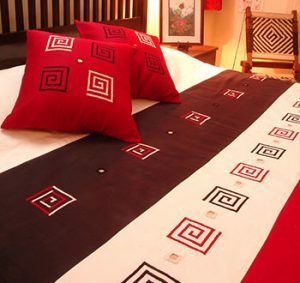 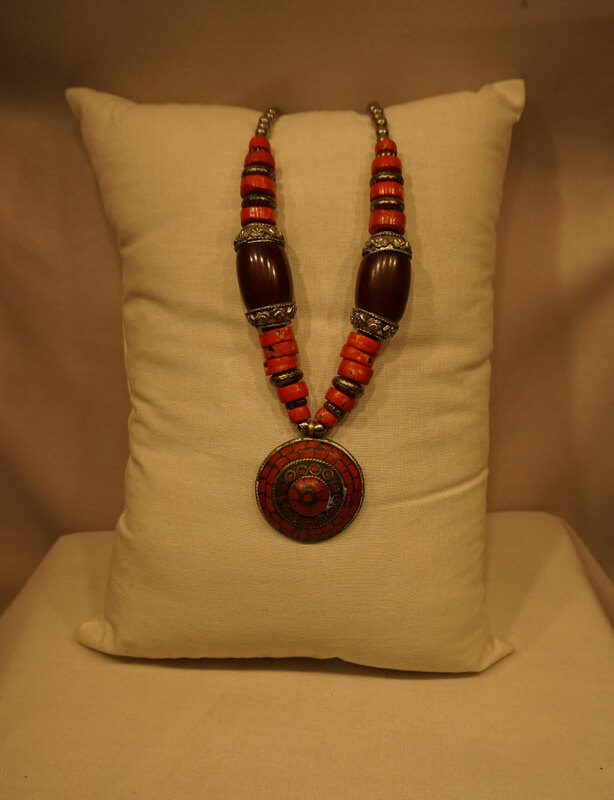 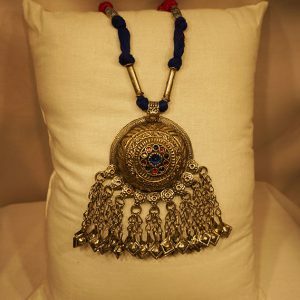 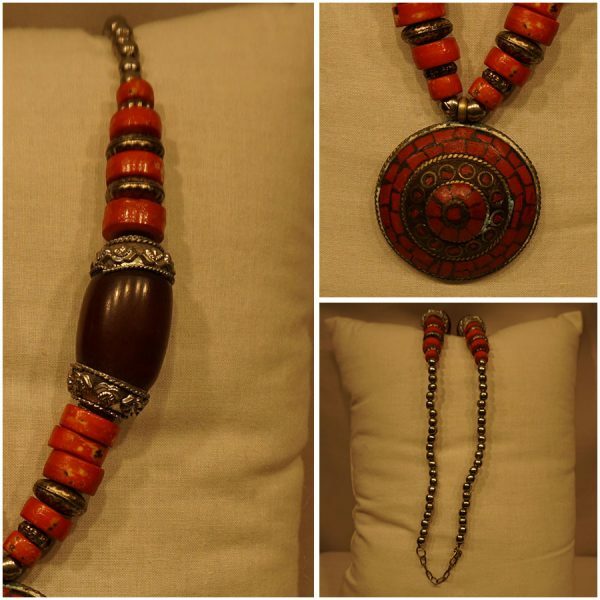 A combination of coral red, maroon, white metal beads, metal inlaid pendent as jewellery. 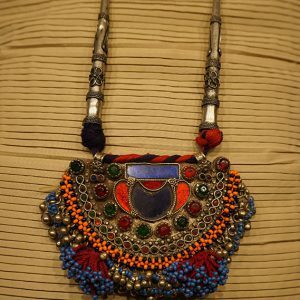 This striking coloured jewellery can be styled either for ethnic or contemporary look. 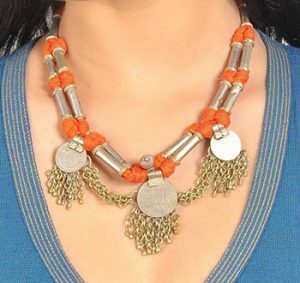 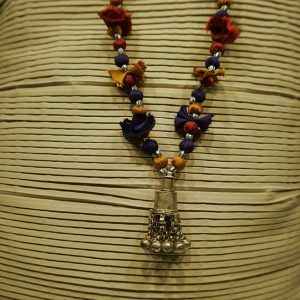 SHOP D’ART CREATIONS Adorned attractive tassels and designed for a tribal pendant is this elegant neck piece by Usha Subrahmanya.